Harpool Middle School kids aren't just playing -- they're learning to code using the popular Minecraft game in an after-school code club in Denton ISD. There’s a new after-school club in the Denton school district where kids can play computer games. But they’re not just staring like zombies into screens. This is also an introduction to computer coding. The goal is for kids to learn while having fun. 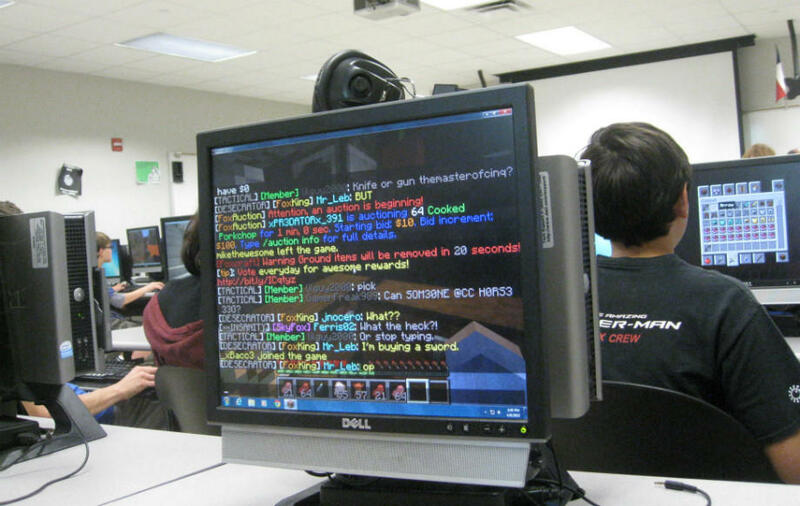 Harpool Middle School’s after-school Minecraft club is busy. It's packed with sixth, seventh and eighth graders. These kids in Denton ISD love this parent-approved computer game where you try to survive a night of enemies by building structures for protection. It's kind of like the "Three Little Pigs." In the English fairy tale, the smart, industrious little pig builds the best house from brick. What does 12-year-old Ayden Munger likes about Minecraft? He's the builder. Under his game name, Ayden the Panda, he created a huge stadium. 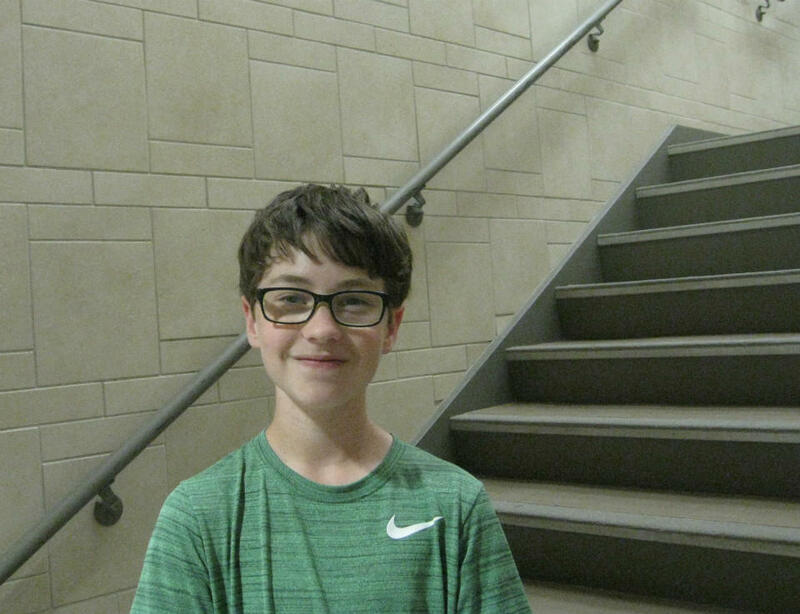 Ayden Munger is in sixth grade at Harpool Middle School, where he's a member of the coding club. Ayden’s joy is a goal of this club. Robert Justice, a father of five, thought Denton ISD needed a computer club, what he calls a team for nerds. “If you’re good at soccer and terrible at science you go to soccer. If you’re great at science and terrible at soccer, where do you go, right?" Justice says. "In soccer, there’s a coach, assistant coach and a bunch of volunteers. We don’t have that in technology." Robert Justice, left, helped create Harpool Middle School's Minecraft computer club where kids not only play the game, but learn how to code. This club is new for Denton ISD middle schoolers. It’s not only for kids who like computer games -- it’s designed to introduce them to computer coding. Minecraft is just the bait. In this game, if you want something that’s not there already, you have to add it by creating a new code. “It’s cool to play Minecraft. But it’s not cool to want to learn how to code,” says Misty Maxwell, the technology specialist at Harpool. This approach makes sense to Emmanuel Schanzer because it often works. He launched Bootstrap in 2006. The educational non-profit has taught thousands of kids math through computer programming and coding. 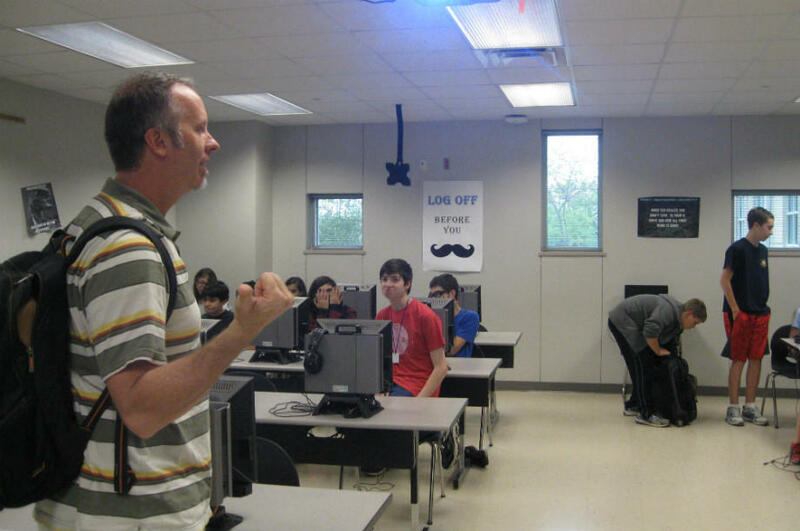 In Denton, Harpool Middle School’s Minecraft club has about 30 kids. One of them is seventh grader Rachel Weidman. Here's what seventh grader Rachel Weidman was working on in Minecraft after school. And the next step? "Well, I would like to learn how to code," Rachel says. Coding isn’t just important for the kids, but for educators, too. Andrea Plum is a University of North Texas education student who helps teach kids in the Minecraft club. 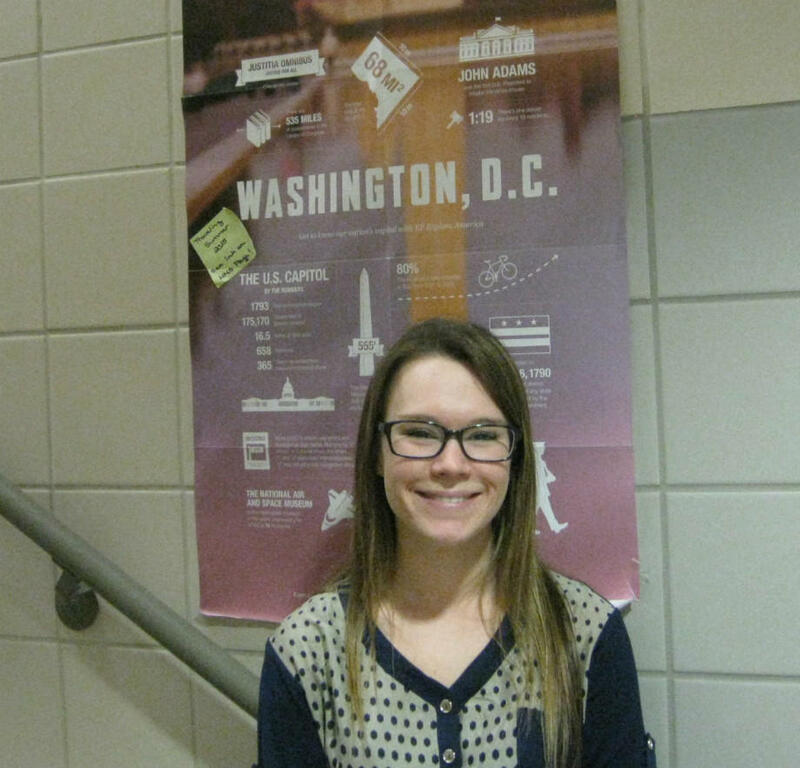 Andrea Plum wants to be a teacher after she finishes this senior year at UNT. She helps middle school kids in the Minecraft club at Harpool. Plum says this game teaches more than science and technology. It incorporates history, geography and architecture. She’s noticed players even develop social skills. That’s because kids play and collaborate online. Sixth grader Ayden Munger makes it clear. “When you’re playing with another friend, usually it’s the survival thing again, you want to survive together," Ayden says. "And you work with each other so you can get stuff done quicker and it’s really fun because you get to share the experience." In this club, students are not just playing. Parents who may have worried about their kids disappearing into a video game abyss can see them learning and bonding with friends.